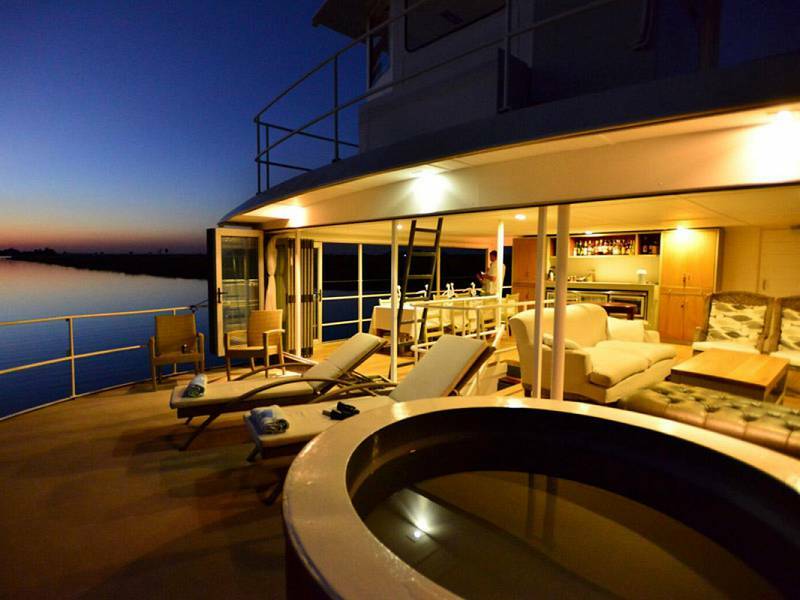 The Ichobezi is a state of the art luxury cruiser operating on both the Chobe and Zambezi Rivers. 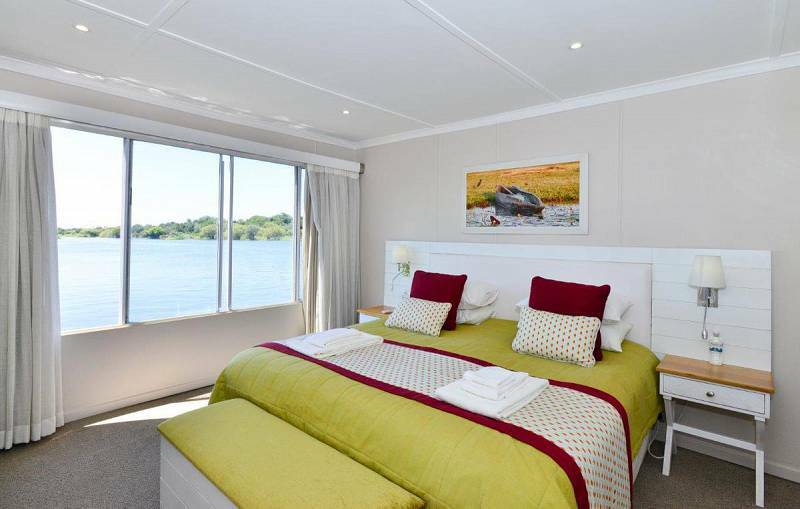 At 18 meters long with four twin en-suite cabins decorated in tasteful African style, this unique boat offers the guest comfort, space and versatility. Smaller tender boats are used for fishing and excursions. 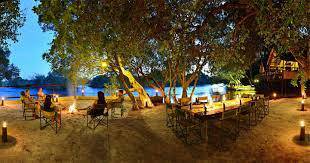 Breakfasts, lunches and dinners are served in a relaxed atmosphere on the entertainment deck. The kitchen and bar area at the rear of the vessel open out onto spacious dining and lounge areas that are open and look onto the water. 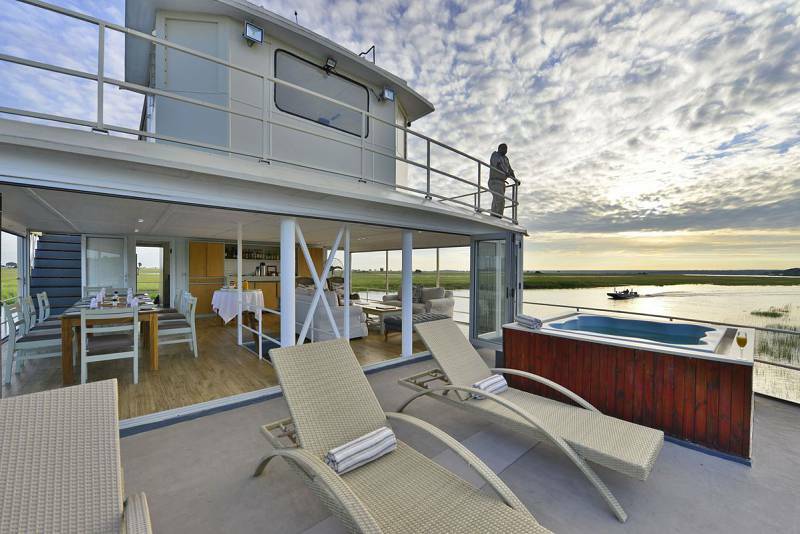 A crew of up to five will navigate the river, cook, clean and provide a first class service. 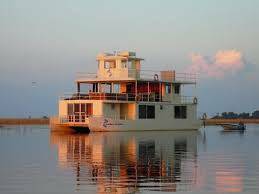 The Ichobezi is moored on the Chobe River. 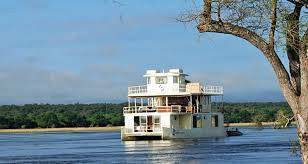 Guests are collected by prior arrangement at Kasane by boat. 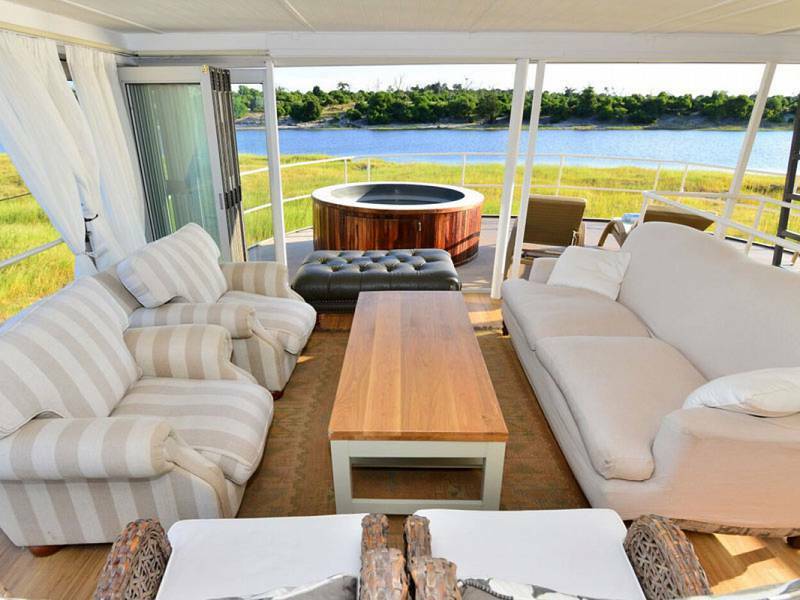 Here on the Impalila Island you will find the gem of the Caprivi. 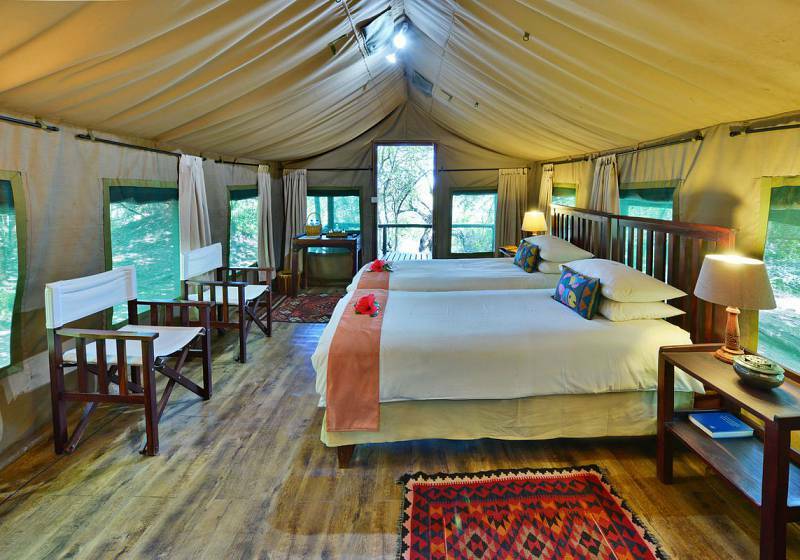 A small luxury tented lodge with eight twin Meru tents each with thatched en-suite bathrooms and balcony overlooking the Chobe River. Excellent Tiger and Bream fishing. 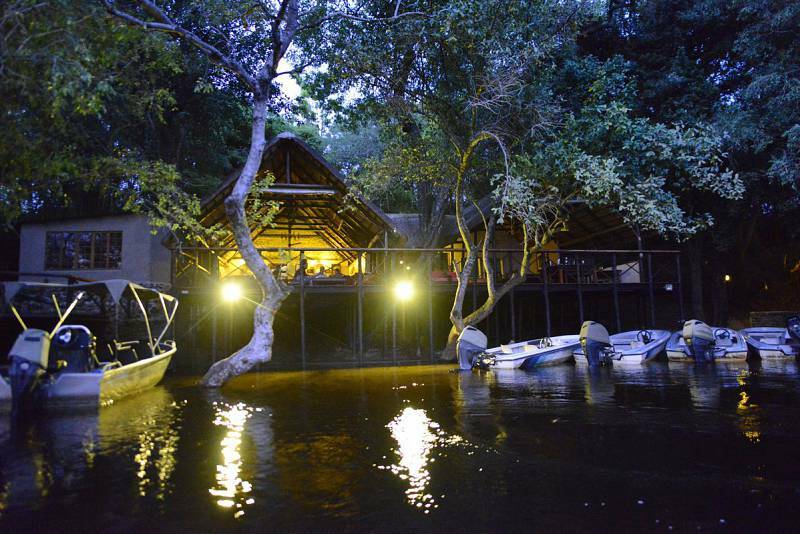 Spectacular game viewing by boat and some of the best birding in Africa and island walks. 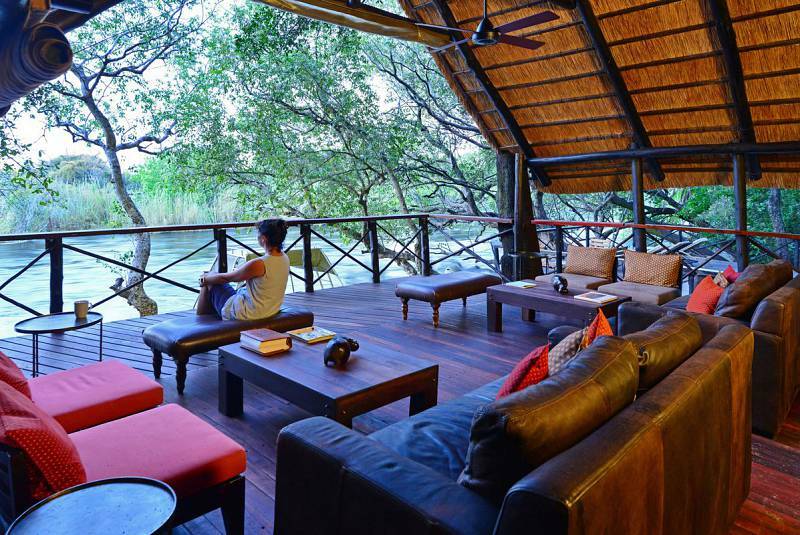 Ideally situated to visit the Victoria Falls. Das Ichobezi Luxus-Boot misst 18 Meter und beinhaltet vier en-suite Doppelkabinen. Geschmackvoll im afrikanischen Stil eingerichtet, mit allem erdenklichen Komfort, geräumig und vielseitig, schippern Sie auf den Chobe und Zambezi Flüssen. Gäste werden auf Absprache in Kasane abgeholt. Kleinere Boote werden zum Angeln und für Ausflüge eingesetzt. Frühstück, Mittagessen und Abendbrot werden auf dem Deck serviert. Küche und Bar gehen aufs Hinterdeck hinaus; von dort aus führt es direkt zum geräumigen Ess- und Wohnraum unter freiem Himmel mit Blick aufs Wasser. Unsere 5-Mann Crew betreut Sie rund um die Uhr im erstklassigen Stil.